Norwegian, the World's Best Low-Cost Long-Haul Airline and Value Airline of the Year, will add two more European nonstop routes out of Boston's Logan International Airport next summer, as well as move its existing London service from Fort Lauderdale-Hollywood International Airport to Miami International Airport and from Oakland International Airport to San Francisco International Airport. Norwegian offers the most nonstop routes from both California and Florida to Europe, and these moves will strengthen the airline's operations in both states. "We are continuously reinforcing Norwegian's commitment to the U.S. as this is one of our most important markets. Transatlantic low fares resonate very well with both American leisure and business travelers, especially when matched with our award-winning in-flight experience. Our new routes and increased frequencies will make us even more competitive while offering Americans more options and more ways to save and enjoy travel," said Bjørn Kjos, Founder and CEO of Norwegian. The new service from Boston to Rome will commence on March 31, 2019, and operate four times per week, with fares starting at $299.90 in Economy and $779.90 in Premium one way, inclusive of taxes. The new Madrid service will launch on May 2, 2019, and operate three times per week, with fares starting at $199.90 in Economy and $639.90 in Premium one way, inclusive of taxes. Both new routes will be summer seasonal only. Norwegian currently operates nonstop flights from Boston to London and Paris. Additionally, the airline will move two of its existing London nonstop routes starting March 31, 2019. Service to London currently operated from Fort Lauderdale will move to Miami and from Oakland to San Francisco. Miami to London will be a daily service, while San Francisco to London service will be five times weekly. Economy fares from San Francisco to London start as low as $159.90 and from Miami at $159.90, one-way, including taxes. Premium fares are available as low as $719.90 from both U.S. cities, one-way, including taxes. "We are honoured by Norwegian's decision to launch its first-ever Miami service, which will soon provide our passengers with yet another nonstop travel option to the United Kingdom and Europe. We look forward to welcoming their award-winning service to MIA, where nearly one million passengers already travel to and from the UK annually," said Lester Sola, Miami-Dade Aviation Department Director and CEO. 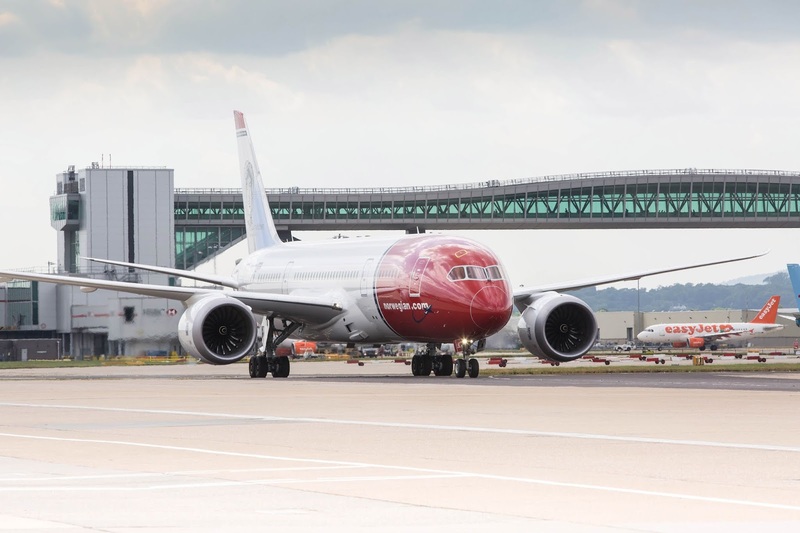 "We are thrilled to welcome Norwegian service between SFO and London in the spring of 2019. With this move, travelers can enjoy Norwegian's fantastic value together with SFO's award-winning, world-class airport experience," said San Francisco International Airport Director Ivar C. Satero. Denver to Paris will increase to three weekly flights, up from twice weekly. Fort Lauderdale to Paris will increase to three weekly flights, up from twice weekly. Los Angeles to Paris will increase to daily service, up from six weekly. Los Angeles to Madrid will increase to four weekly flights, up from three weekly. Los Angeles to Rome will increase to four weekly flights, up from three weekly. New York to Madrid will increase to daily service, up from four weekly. Oakland to Rome will increase to three weekly flights, up from twice weekly. Orlando to Paris will increase to twice weekly service, up from once weekly. Norwegian will now operate from 17 airports in the United States and offers more than 50 nonstop routes to Europe, as well as four routes from the U.S. to Guadeloupe and Martinique in the French Caribbean, and three routes out of Canada.